Early Literacy Aside--Explain: Narrative skills is the ability to talk about events and tell stories. 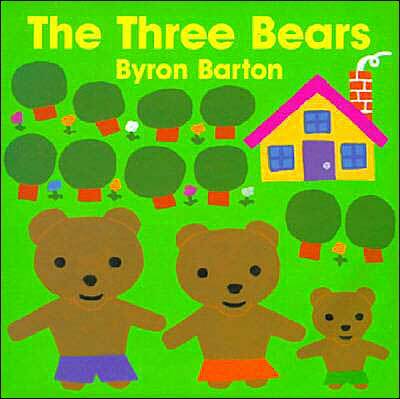 Having children tell you what they are thinking, talk about things that happen, or tell you stories is later going to help them understand what they read.Read The Three Bears and have children help you retell the story using props or a flannel board. Early Literacy Aside--Example: Retelling stories helps children understand what they read. Using props found around home can help children remember and retell stories. Early Literacy Aside--Empower: When children do what is called dramatic play, when they act out stories, this kind of play helps children understand the structure and story and helps them understand the story itself. Play is a great way to support later reading. Read the book Snap! by Marcia Vaughan.Early Literacy Aside--Example: This book lends itself to retelling events which helps your child understand the story. Encourage your child with questons that leave room for them to describe what they hear or see. I used questions like, "What did Joey do when his Mom fell asleep?" and "Who did he meet?" Early Literacy Aside--Empower: The ability to retell a story is an important skill for children to have in order to understand what they are reading. Predicting what happens next and acting it out, or as it's usually called, pretend playing, is a fun way to retell a story and to gain background knowldge along the way.